Fly north from Fairbanks and wonder at the story of the vast and remote land below. Witness remnants of the gold mining that continues nearly 100 years after the yellow metal first brought newcomers rushing north. View the remarkable Trans Alaska Pipeline, symbolizing the immense changes brought to Alaska’s Arctic by the discovery of oil over 30 years ago. Fly over the expansive Yukon River Valley, home of traditional peoples that sustain their lifestyle and culture as they have for thousands of years. Thrill at the excitement of crossing the Arctic Circle. Experience the rugged and magnificent Brooks Mountain Range as the flight route passes just south of the Gates of the Arctic National Park. Participate in a ceremonious Arctic Circle landing at a wilderness community on the Middle Fork Koyukuk River and receive an official Arctic Circle Adventure Certificate. 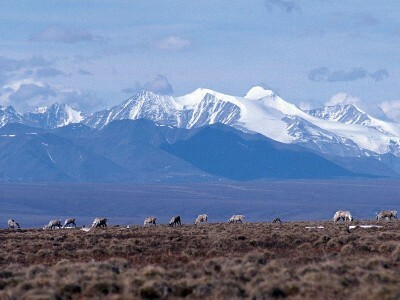 Enjoy an orientation and learn the fascinating story of the surrounding Brooks Range wilderness. Bask in the long daylight hours of the Midnight Sun on the return flight to Fairbanks.